Followed this instruction and managed to create a custom placeholder in my master page. But it would not allow me to add any web part in the site column I placed within the custom placeholder. But if I move the web part in placeholdermain area - it appears as normal. 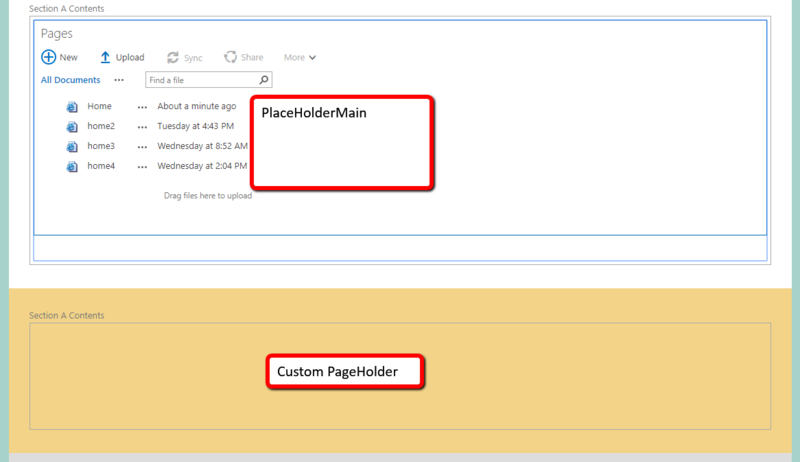 Below image is just to show how the site column accepts web parts if placed in placeholdermain but not when inserted in any custom placeholders. Use SharePoint Designer if possible - it makes the process go a lot faster. Create a custom content type if desired for your page. Create a new page layout file in SharePoint Designer and you will be prompted to pick a content type. Select your custom one or choose and OOTB content type, like Article Page. Add field controls inside of the content control. This will be where you provide people the ability to add text, images and web parts. Look for Page Content under Content Fields. Not the answer you're looking for? Browse other questions tagged sharepoint-online web-part page-layout custom-masterpage or ask your own question.